Have a birthday party, baby shower, or other special occasion? Celebrate it at the Chicago Dough Company. *Option 1:* Our dining room is available for private parties and closed to the public, every Sunday from 12p-3pm. 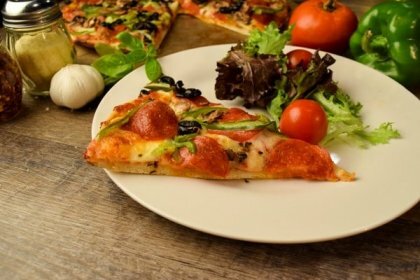 Pizza, salad bar, and beverages (coffee, tea, and soft drinks) for $10.99 per person, with a minimum of 30 people and up to 100. *Option 2:* Our back dining room is available, for up to 60 people, during normal business hours to book. Food options would be ordered off the menu when your party arrives. No deposit fees or minimum. Have your next kids pizza party or special event at the Chicago Dough Company where you create your own pizza masterpiece! Start with your own personal crust, add the sauce, then add the cheese and toppings. Our trained pizza cooks will show you how to make a gourmet pizza, and we will cook it to perfection in our deck ovens. Tax and Gratuity Not Included. No Room Charges or Deposits. *If you would prefer, our staff will make the pizzas. To schedule a party, please call or contact us.